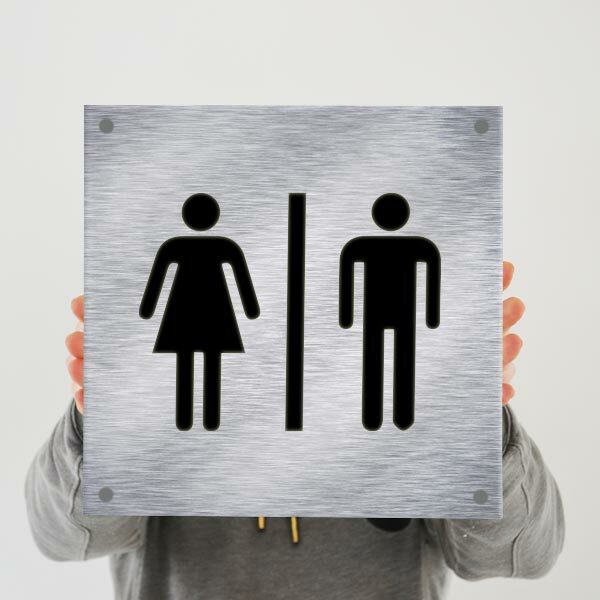 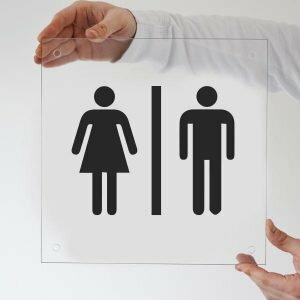 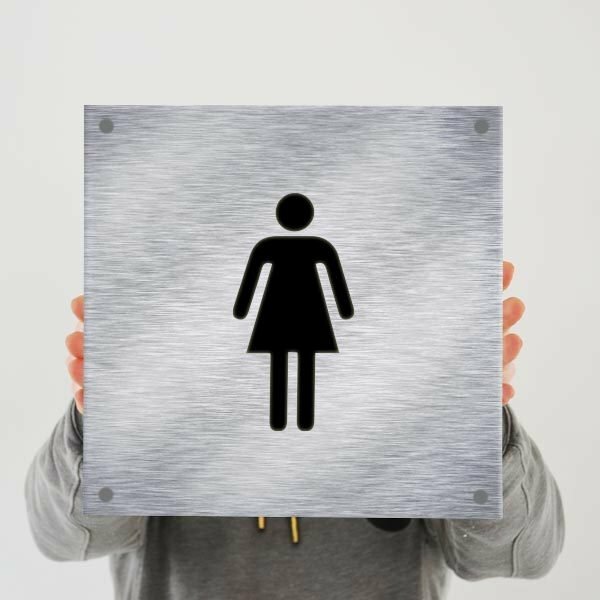 Our range of toilet signs are ideal for the office, restaurant, shopping centre and all public places. Easily readable/identifiable, manufactured from a Brushed Aluminium composite. 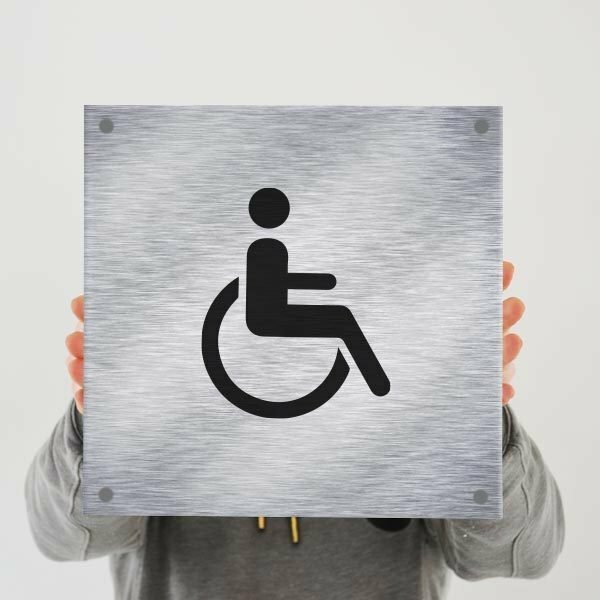 Each symbol is vinyl applied using a commercial grade vinyl which is easy to clean and sanitarily suited. 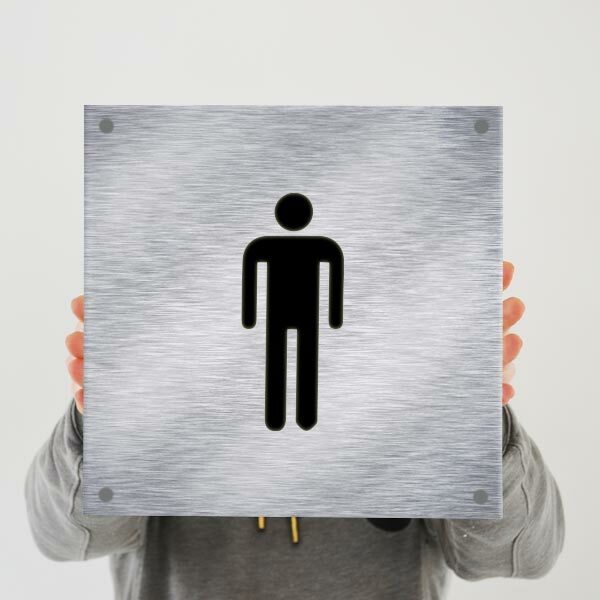 Each sign is supplied with four Satin effect Stand off Mounts (one in each corner).